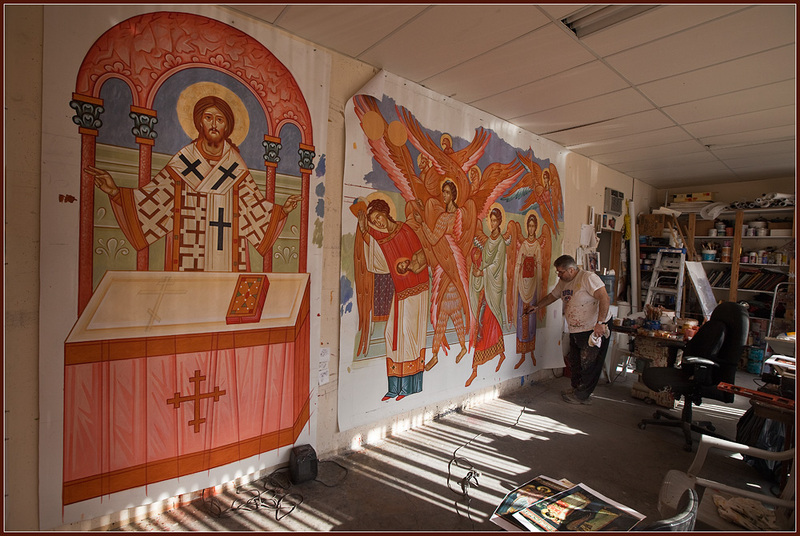 Icon painting and Gold leafing workshops / master classes. Христос Воскресе! Поздравляю всех (где уже наступило 5 Мая) с светлым праздником Воскресения Христова! Christ is Risen! Originally posted by wanderingval at Икона "Спас". Icon "Saviour". 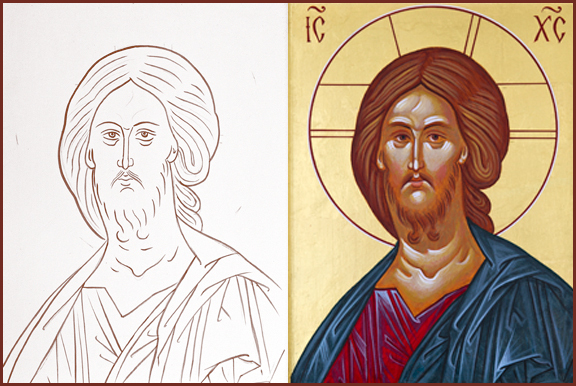 Step by step guide for my masterclass " Painting Icon "Saviour" finally completed: http://www.ikonograph.com/icon1.html Прориси и образцы для моего мастеркласса по иконографии " Письмо Иконы "Спас" наконец-то завершены. Icon – canvas, wooden board. 24K Gold leaf, natural pigments. 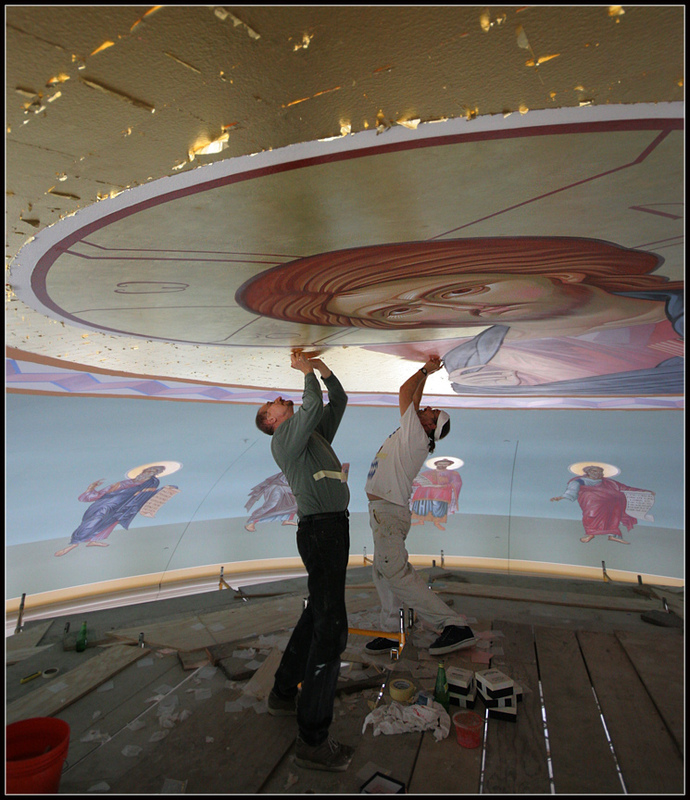 Gilding the Icon "Axion Estin". Золочение Иконы "Достойно Есть". Сегодня позолотил Икону, написанную О. Федором Куфосом "Достойно Есть". 24 К. золото. Двойная позолота на 12 часовый лак. Спасибо Скасеньке за чудесное видео :) Skasia, thank you very much for wonderful video!!!!!!!! From the discussion between Archimandrite Victor - rector of St. Euphrosyne of Polotsk Church in Karsava, Latvia and Iconographer Archimandrite Zinon. “Tragically, the icon has become a mere illustration of the celebrated event, and for this reason it doesn’t matter what form it takes, because nowadays even photographs are venerated as icons. Here we will add a few words about the blessing of icons. 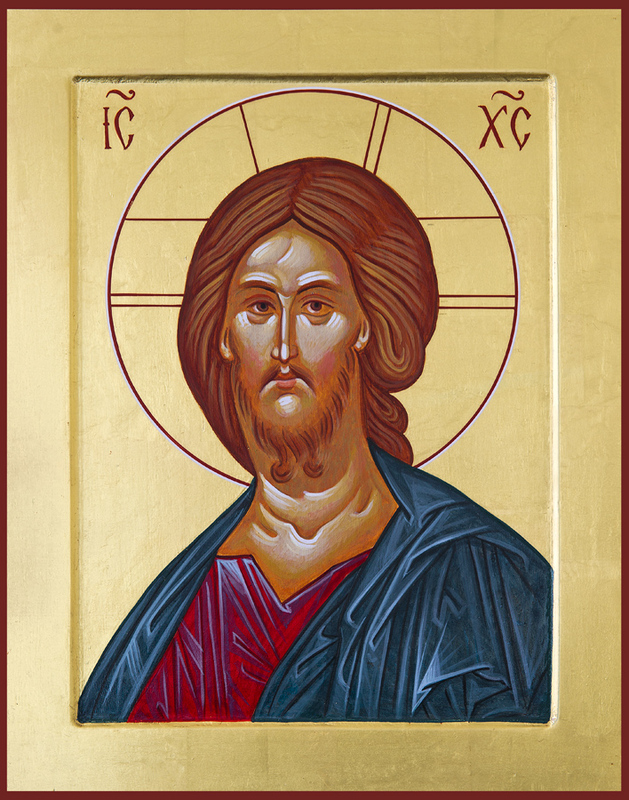 Very often, seeing a newly-painted icon and desiring to venerate it, people ask: Is it sanctified (osviachshennaya)? This is not an ancient custom. (In the Book of Needs, the rite is called “blessing” not “sanctification” and should be regarded as an adornment by the Church of the given icon, not as a sacramental act. In buying a new Bible, no one thinks of having it blessed according to some rite before reading it.) This rite first appears only in the Great Book of Needs of Peter Mogila (no such rite is found in any Book of Needs of the pre-Nikonian period). The icon was identified and after this it was considered sanctified. It is not the material object which is venerated but the prototype of the depicted image. The inscription is necessary, as we said earlier, in order that the spirit of the person praying would be confirmed, i.e., in order that the one praying knows precisely whom he is invoking, since the iconography for many saints is similar. For example, if there were no inscription on the icon of St. Cyril of White-Lake, one could mistake him for St. Sergius of Radonezh or another early monk-ascetic. Properly, however, an icon does not depict; it reveals. It is the revelation of the Kingdom of Christ, a revelation of the transfigured, renewed, deified creation. 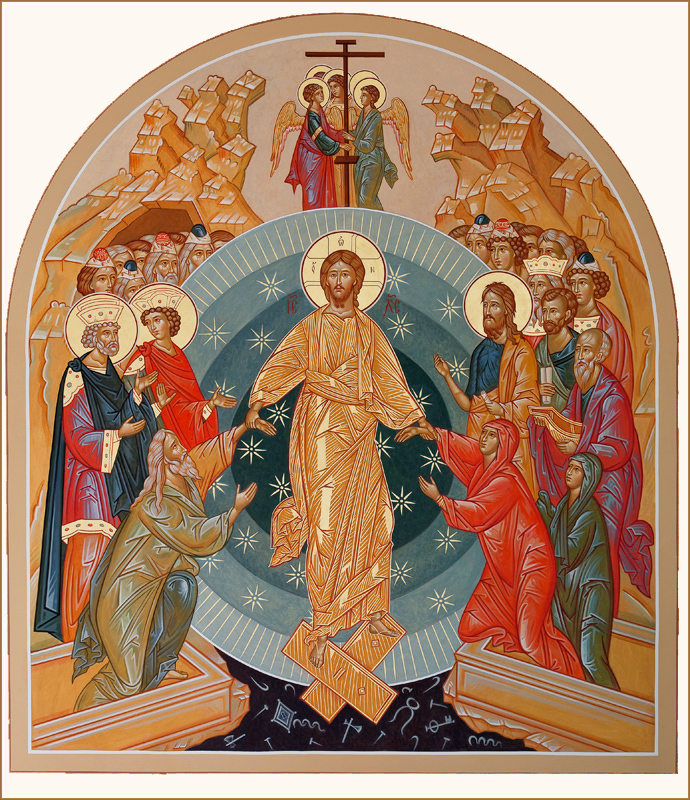 An icon is born from the living experience of Heaven, from the Liturgy, and therefore iconography was always regarded as church service, as Liturgy. High moral demands were placed on iconographers, the same as clergy. Iconographers were highly regarded; in ancient Rus’ iconography was a matter of state importance. The influence of Western theology, and various irregularities in Eucharistic life led to the fact that the icon often became a picture of a religious subject, and veneration of the icon ceased being Orthodox, in the full sense. Here it would be fitting to say a few words about those depictions which the Church forbids, but which one can find in almost any church. Iconography is a conciliar art, i.e., the art of the Church. 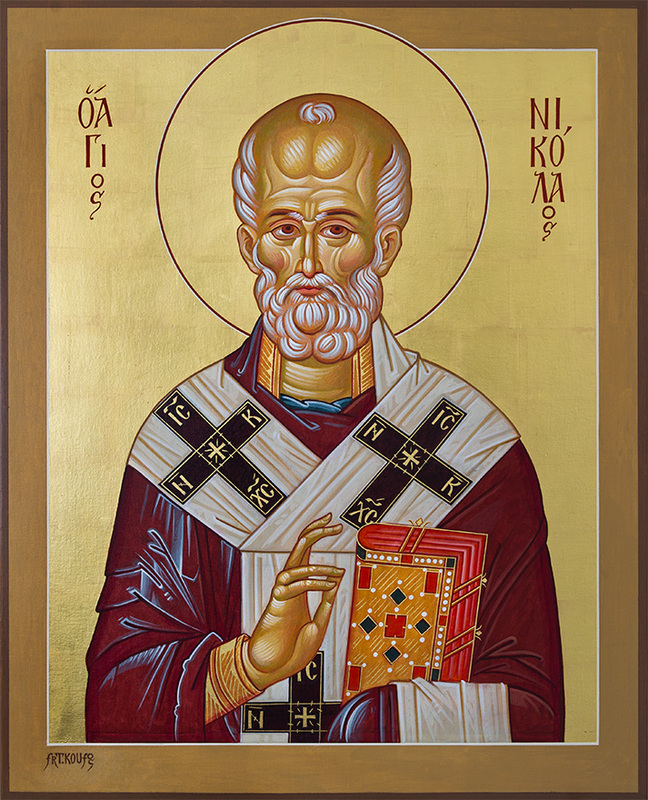 The real creators of the icon are the Holy Fathers. The canon of iconography was formulated over the course of centuries and arrived at the form we have now somewhere in the twelfth century. The Church always paid a great deal of attention to her art, taking care that it should accurately reflect her teaching. In the Synodal period there appeared many depictions which can plainly be called mockeries, parodies of icons. Last time I gave you to read some letters by Bishop Ignaty Brianchaninov. In one of them he writes that he saw not icons, but caricatures of icons. At best these could be called well-executed paintings, but by no means icons. For the full text press here. The most literal translation of the word Greek: εικονογραφία (eikonographia) is "image writing," leading many English-speaking Orthodox Christians to insist that icons are not "painted" but rather "written." From there, further explanations are given that icons are to be understood in a manner similar to Holy Scripture—that is, they are not simply artistic compositions but rather are witnesses to the truth the way Scripture is. Far from being imaginative creations of the iconographer, they are more like scribal copies of the Bible. Some have suggested that icon writing be used because of the fact that for many centuries, (whether the early Church, the persecutions against the Christians by the pagan authorities, or more recently around the Orthodox World when the faithful have been subjected to non-Orthodox authority), icons were the books of the illiterate and through the depiction of an often simple image refer to and confirm the fundamental belief of the Church; the Incarnation. God's becoming human, his undertaking and sanctifying of human nature and matter in general means that He can be depicted using matter.